Advice from Blair of Facts of Life Fame…. I had the rare opportunity two weekends ago to be in the library by myself. Usually I am chasing my two-year old and begging her to use an indoor voice while trying to find the latest A to Z Mystery story for my 5-year-old. Because of this I often request our books before we head to the library, so that they are waiting for us when we get there 🙂 However this early Saturday morning allowed me quiet time in the library to explore a section I rarely visit…the Adult Section 🙂 I decided to check out the education resources, specifically the homeschooling section. When I located the section, I was not surprised to see that our town library only had one small shelf devoted to homeschooling. Our town is a bit wrapped up in its image and not really a place that values doing things against the norm. The pathetic homeschooling section was very dated with a religious focus and as I flipped through the titles one book jumped out at me. I pulled it out to look closer and the face smiling up at me from the cover made me smile. 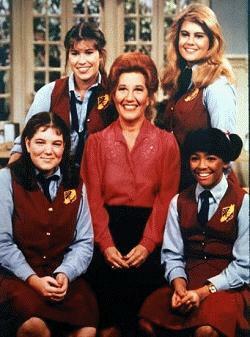 It was Blair from the Facts of Life! Blair Lisa Whelchel apparently married a pastor and homeschools her three children. 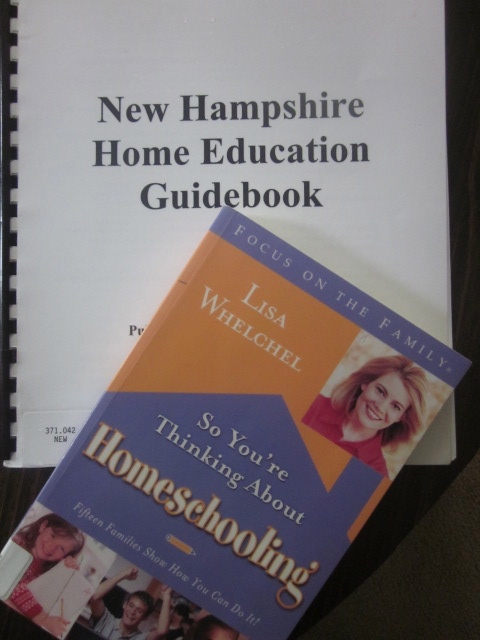 This book, So You’re Thinking About Homeschooling, was her story and the stories of 15 other families who homeschool. I laughed and decided to check it out to see what kind of entertainment it could provide. Well the old saying stays true, You should NEVER judge a book by it’s cover (or in this case author). This book was great! She set it up like a conversation between the reader and each of the families. It can be hokey at times but for the most part it is a very honest look into 15 very different families and their paths that led them to homeschooling and the methods that they use. There is a single mother, a navy wife, a mother who “office schools” from work, a homeschooling dad, a family who has one homeschooled and one who has never been homeschooled, parents of children who have special needs, grandparents who homeschool, families with young children, families with teens…..so many different families. Each family’s story is so different and their teaching methods so different. There are families who Unschool, families who follow the Classics Curriculum, very religious families, families who use video or computer curriculum….so many different families! The thing I loved most was how honest they all were. They shared not only the things they love about homeschooling but the many challenges that they face. No matter how difficult the situation that they are in or how hard they have to work to live a life where homeschooling is possible….they all say the same thing…..they wouldn’t do it any other way. The book was truly inspiring and I read it in a 24 hour period. There were many quote worthy things about it (I will share them at a later time) but it was so nice to have this honest glimpse of real life homeschooling. Never again will I make fun of a book because of the author. After all Lisa Whelchel is a real person, a real mother and has a wonderful story to share.